What with all the furore surrounding the fiftieth anniversary of Doctor Who back in November 2013 you might have thought that the programme had celebrated enough anniversaries for now. After all - fifty one and a bit years on from the first episode? Nothing that special. But today, 25 January 2015, sees the fortieth anniversary of the beginning of what is probably my favourite run of sixteen episodes (four stories in the old money) from the show. There are of course stories and episodes that I like more than that, but this particular period - from 25 January to 10 May 1975 - was the most consistently enjoyable time for me watching. There is a danger that in writing this I will go over old ground but checking back on the Dimensionally Transcendental Confession blogs covering the relevant period it appears that I restrained myself from going into too much detail. It was almost as if I knew I was going to write this blog five years hence. My enjoyment of these particular four months of Who probably had a lot to do with my age but also because, in those pre-video days, it was the first time that I was able to experience the shows more than once. My dad had started work at the Radiophonic Workshop by this point which meant that I got to see discarded scripts. 25 January wasn't the beginning of Season 12. The show had actually started at the tail end of 1974 with Tom Baker's debut as the Fourth Doctor in Robot. This too was one I'd seen the script of (and even seen some of in advance of transmission) but I hadn't been too impressed for reasons which I went into in more detail elsewhere. But episode one of Ark in Space changed all that. 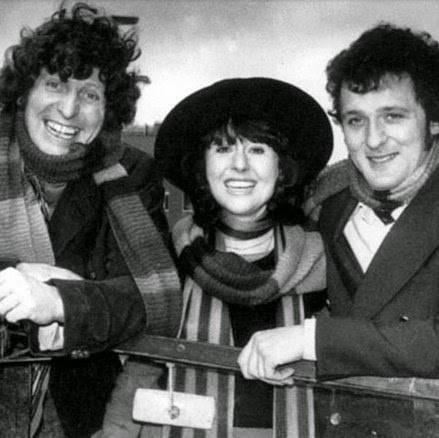 For a start there was something about having a TARDIS team of three that felt like a breath of fresh air. In retrospect Harry Sullivan was far from a bumbling imbecile and actually quite shrewd and clever. What with him, the ever smart Sarah-Jane Smith and the newly rejuvenated Doctor here was a team to strike terror into the hearts of any monster trying to take over the universe for no very good reason. But the monsters in the Ark in Space weren't just trying to take over the universe. It was far more sinister than that. The far future setting was claustrophobic and nightmarish, especially before any of the Ark crew were awakened from suspended animation. Sarah-Jane getting caught in the hibernation mechanism was another brilliant touch, the sense of mindless mechanisms going through the motions in the absence of humanity added another dimension to the disturbing atmosphere. And that was even before we got on to the body horror of the Wirrn's modus operandi and the grisly fate of Dune the Chief Technician. Yes they used bubble wrap, sprayed green to represent Noah's infection, but that didn't stop me being terrified when we first see his bubble-wrapped hand, the sense of horror portrayed by the actor convincing enough to make the young me really start to imagine what it might be like to undergo such a gruesome metamorphosis. The story and concepts were so strong that they overcame the limitations of the budget. But one thing that really stood out for me was the end of the story. Unlike in almost every story that I'd seen before the Doctor and co didn't just slip away quietly in the TARDIS. They stayed to help, teleporting down to the abandoned Earth to give the receiving station a once over before the sleepers from the Ark came down to start repopulating it. For me this was a huge development. Not only was the Doctor crew staying in the same (non 20th century Earth) place and time for more than one story - he'd left the TARDIS behind too. Two consecutive stories set in the same world. 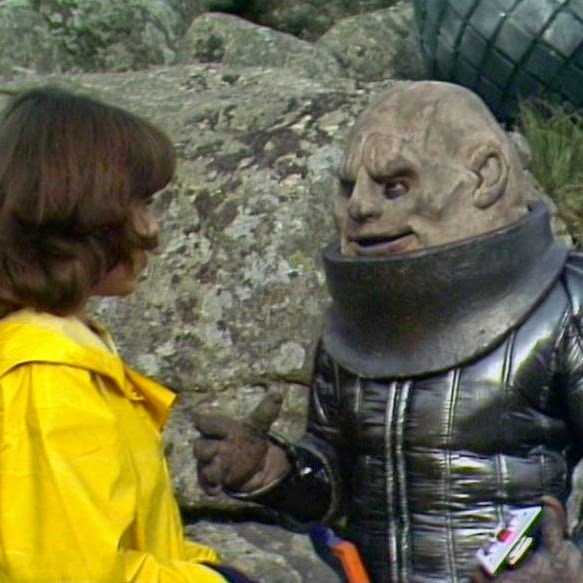 The previous year had seen the debut of the Sontarans in The Time Warrior. However at the time I hadn't remembered the name of the race, just the name of the eponymous Time Warrior (Lynx) so the title of the next story The Sontaran Experiment offered me no spoilers whatsoever which meant that I shared Sarah-Jane's shock at the end of the first episode when the villain made his appearance. A lot has been said in recent years about how the character of Strax in the latest incarnation of Doctor Who has taken the threat away from the Sontarans making them a bit of a joke. I'm not so sure. Watching Styre's first scenes now it's easy to imagine them in Dan Starkey's voice (although Styre does appear to have less trouble telling the difference between human genders). "Female number one. First assessment. Would appear to have no military justification. Offensive value therefore nil." The Sontarans were always ridiculous. Styre is a dangerous sadist but is also petty and small minded. The bleakness of post solar flare London was another thing that impressed me about the story at the time. 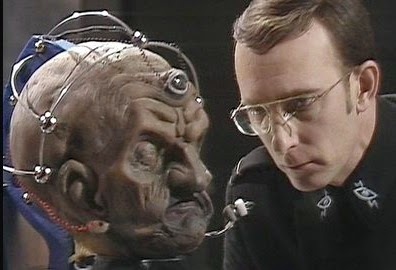 The Sontaran Experiment was shot entirely on location which gave it a very different feel from anything that had gone before. Of course it turned out I was wrong about that. Far from returning to the Ark and the TARDIS the Doctor and co were dragged half way across space and time without so much as a by your leave by the Time Lords, one of whom informs the Doctor in one word that they require help with a very particular problem. The Daleks had appeared in the series every year since the beginning of 1972 but what was on offer here was something very different. And even though we only had a black and white TV at the time there was something dark gunmetal green about Genesis of the Daleks, a grim impression that has stuck with me ever since (and which I was pleased to see reflected in the design of the DVD cover). The premise - the origin of the Daleks - was one that interested me a lot more than the previous few Dalek tales and the first proper glimpse we got of Davros at the beginning of episode two excited me because I mistakenly thought his wheelchair was part of a Dalek under construction. However there was a lot that actually was in the story to enjoy too. This was one occasion on which the getting captured, escaping and recaptured plus to-ing and fro-ing between the same locations seemed to work. A lot has been made of the Kaleds as Nazi analogues but watching the series again you get the distinct impression that the sadistic slave-labour using Thals were no better. Pre-Dalek Skaro was an arena of bastards the like of which probably wouldn't be seen again until The Caves of Androzani nearly 10 years later. The Kaled scientists were very well drawn though. Davros's sinister sidekick Nyder sticks in the memory decades later. He had such great lines - his dismissal of the Doctor and Harry's concern with "your views are not important" is almost as chilling as his line upon uncovering Gharman's treachery, "Thank you. That's what I wanted to know." Thanks to the LP version of this story it is still one with which I am very familiar. But obsessive child that I was the narration at the beginning of the LP bugged me. "I stepped from the TARDIS..."
No you bloody well didn't. You were in the middle of beaming up to the Space Ark from the devastated surface of future Earth. But on the whole the LP version represented a tighter version of the story containing all the key scenes, all of which have become iconic and quotable. 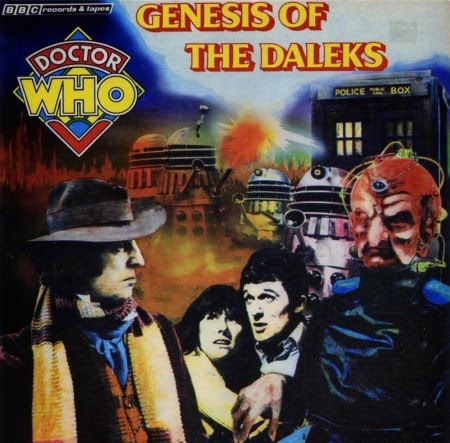 Genesis of the Daleks - all the hits! Includes You Will Tell Me, Have I The Right?, She Is A Norm, But Would You Do It?, And I Sent Sarah and Harry in There, Have Pity, No Tea Harry and many, many more. 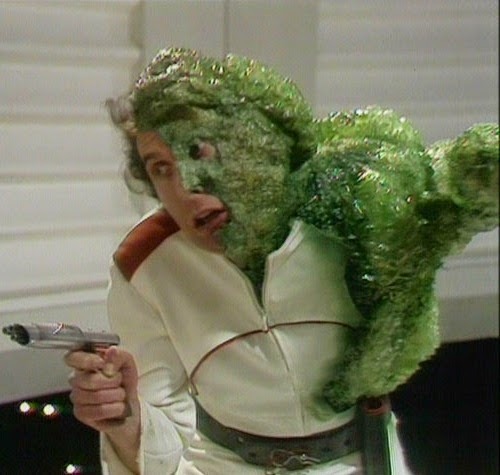 Of course Genesis of the Daleks has its flaws. The giant clams for one. The fact that the two races that have been fighting each other for a millennium live in domed cities within walking distance of each other. But all in all the story deserves its reputation as one of the best ever stories - and like the equally well regarded Caves of Androzani the ending is bleak and the Doctor's presence hasn't really done much other than make things marginally worse. Plus of course he starts the Time War. The ending shot of the Doctor, Sarah and Harry flung through the universe by time ring isn't a particularly impressive one, but it excited me at the time as it meant that the three of them were on their way back to the Ark. And - despite them reusing the rather naff time ring shot at the beginning of the episode - there was the Ark fading back into view. And there was the familiar set, Sarah, Harry and the Doctor shimmering into existence in the same place in the Ark control room from which they'd left. 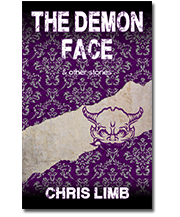 In common with the previous two stories, the title left little doubt as to who the villains of the piece were (childhood forgetting of the name notwithstanding). 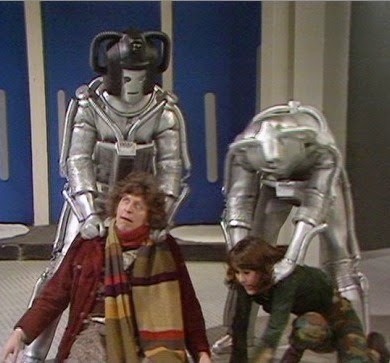 Once again, pre-transmission I thought having to cope with an infestation of Cybermen was a bit of a pain for the Ark's sleepers. Furthermore I was perturbed to see in the Radio Times that the cast did not include Wendy Williams as Vira. As was so often the case in those days at school we spent one morning in the playground acting out what we thought was going to happen in Doctor Who that week. On that occasion the Doctor (played by me) found a list headed "Deaths" at the top of which was the name Vira. Of course the real explanation was very different. This was the Ark at an earlier point in its existence, when it was still a space beacon in orbit around Jupiter. This bothered me a bit, partly because of the way that they had to wait for the TARDIS to join them but mostly because I liked the far future of the Ark and wanted more. But never mind all that. There were going to be Cybermen! For someone who'd grown up on Doctor Who but whose memories of the Cybermen were brief fragments from my time as a toddler, this was a heady prospect. Apparently Revenge of the Cybermen now has a bad reputation, but at the time (and on a more recent re-watch) I actually rather enjoyed it. True, some of the special effects were woeful, one of the Cybermen's heads was very loose and the Cyberleader continuously referred to the Doctor as "Dacter" but I really got into the story and enjoyed being back on Nerva despite my initial resistance to the earlier time period. Kellman's double treachery also intrigued me and I though it a shame that he died when he did as I'd have liked to have seen more of his motivation. And I remembered what what it was that I had found so frightening about the Cybermen as a toddler - the expressionless faces like a child's drawing of a skull, bland and blank even as they gunned down the Vogans with their head cannons. Once again this was a story I got to enjoy over and over again as I had the scripts to read afterwards. I was particularly intrigued by the stage directions this time around - when the Doctor is shot by the Cybermen at the end of episode two they describe him as having "A FIT OF THE CAGNEY STAGGERS" a turn of phrase I had to ask my parents to explain. Furthermore the description of the closing shot of that episode "AND WE CLOSE ON HIS UNPLEASANT STEEL MASK" was one that stayed with me and I was slightly disappointed upon re-watching it to find out that this wasn't the case, the final shot actually being of the prone post-Cagney staggers Doctor. The TARDIS did turn up at just the right moment - the end of episode four - and before there was even time for our heroes to stop and say cheerio they had to rush off having been summoned to attend a real emergency back on Earth by the Brigadier. And there the season ended. Had original plans for the following story Terror of the Zygons come to fruition and it had actually been included in Season 12 instead of being held back as the Season 13 opener I would have been looking at an even longer run of consecutive weekly episodes to consider one of my golden ages of the series. The Doctor, Sarah-Jane Smith and Harry Sullivan, not actually in the TARDIS.